This is one of a series of, I think, 3 books from the University of Tokyo Press on cultural objects. In the introduction to this book, the topic of comparing natural forms with artificial forms comes up. Its interesting that today, such a large gap is perceived between these. Man and nature, in our minds, two separate entities. Only because we have come so far in technology, we feel the need to separate ourselves from “nature.” Aren’t computer chips somehow distant cousins of bifacial points? Is it because we distance ourselves from the soil that we feel justified in defacing it? It is obvious in showing ancient tools that we talk about utility, but also design. I feel like a portal is opened up between the ancient tools and tools of our age, because we had used the former types of tools for a longer period of time than the ones we currently use. People less than one hundred years ago still used archaic forms, for use in everyday life. Logical thought was of high priority over productivity. Use and decoration, slowly evolved, and sometimes become one and the same. The objects in the book sit alone on a black backdrop, photographed humbly. Their physical makeup, size, type, and materials used, and where the tool had been found are included on the left page. What information is not there, leaves room for imagination. Who and where were this tool made, what events shaped the utilitarian creation of it? What was the earth like, what was important to people? I highly recommend looking at this book. I’m including a pdf ( One Hundred Stonewares ) of the text from the book which I found extremely inspiring, especially the 2nd piece called “Senseware.” This is a beautifully bound book, the design being a strongpoint in the experience of the book. The book is available at Dashwood books, which is the only place I could find it. 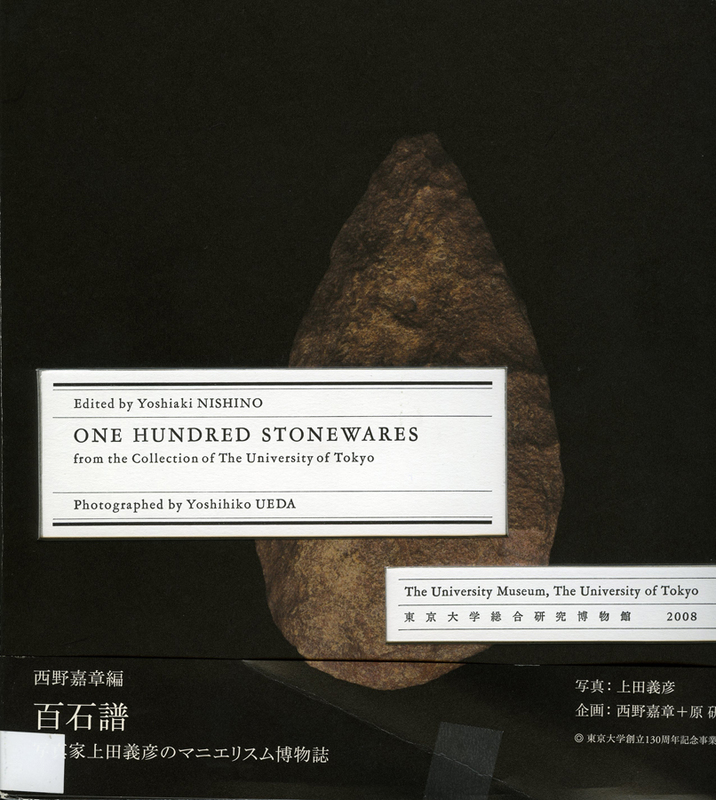 This entry was posted in New Acquisitions and tagged Garret Miller, man and nature, stone tools, stonewares, University of Tokyo, Yoshiaki Nishino, Yoshihiko Ueda. Bookmark the permalink.